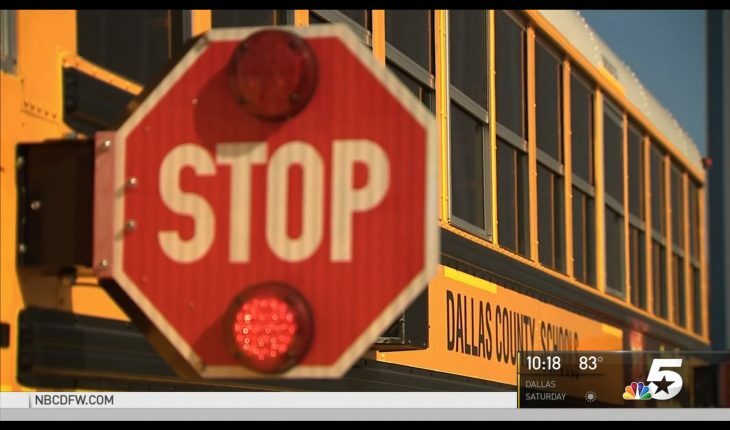 School bus drivers in Texas running red lights? Kansas police departments failing to run background checks on their own officers? Those important – and worrying – stories, run by KXAS-TV in Fort Worth and KWCH-TV in Wichita, recently won 2017 National Edward R. Murrow awards for excellence in radio, TV and digital news in the category of investigative reporting for large and small market television, respectively. As part of Northeastern’s Reinventing Local TV News Project, Storybench spoke with the investigative reporters behind those projects to explore the impact the stories had. Would you be outraged if the school buses carrying your children were repeatedly running red lights? That was a systemic problem that KXAS-TV investigative reporter Scott Friedman uncovered in Dallas county last year. “Records and videos we’ve obtained show them driving dangerously hundreds of times and, believe it or not, those drivers were never punished until we started asking questions,” said Friedman, introducing a segment of his investigative series “Big Buses, Bigger Problems” last year. Being relentless with questions – and filing more than 100 records requests over 9 or 10 months – Friedman told Storybench, is what broke the story open. The impact of Friedman’s investigation was profound. After the initial segment aired, 13 school bus drivers were fired and 229 suspended, while the agency’s director along with three senior managers stepped down, the station wrote in a statement. On top of firings, policy was changed, too. Last year, investigative reporter Lauren Seabrook looked into Kansas police officers with troubled backgrounds – some of whom had been fired or forced to resign from previous posts – that were being hired by other police departments. The impact of the reporting, though, was mixed, says Seabrook, now with Orlando’s WFTV. “I did find out the former police chief we interviewed and the city manager were both arrested a few months later. The former police chief pleaded no contest to stealing ammunition. I believe a charge of misusing public funds was dismissed.” She’s not optimistic that the charges will stick.